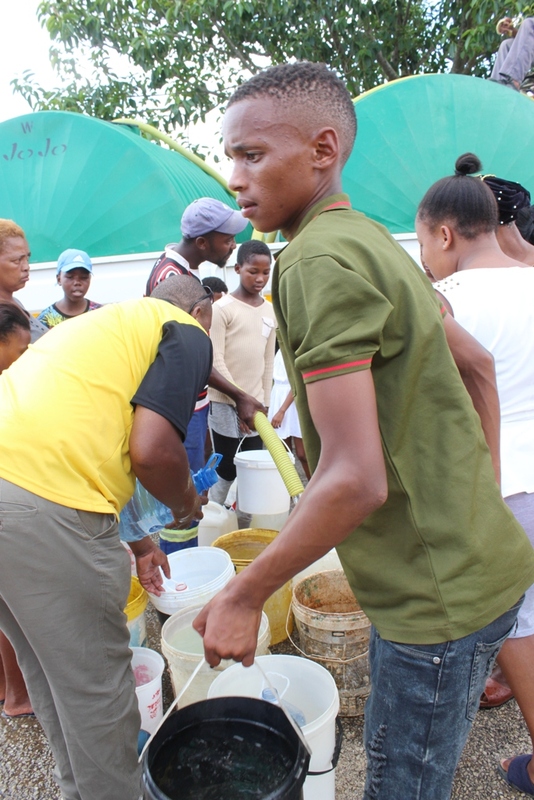 By the time disaster relief organisation Gift of the Givers reaches Makhanda (Grahamstown) on Tuesday 12 February with truckloads of bottled water, large parts of the city will have had dry taps for eight days. 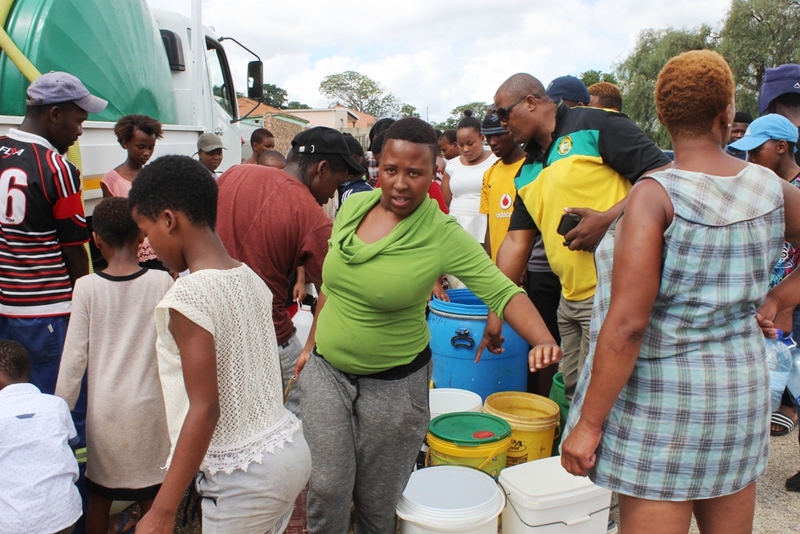 Residents queued for hours Sunday 10 February as trucks organised by a municipality-led crisis committee struggled to service thousands of households. 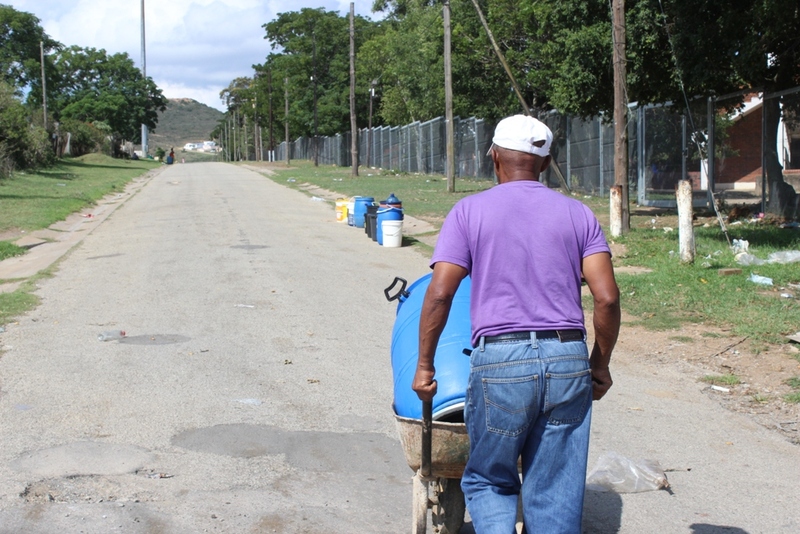 Civic group Makana Revive, who spent the week picking up refuse across the city during a strike, have turned their attention to boosting water deliveries to desperate families. 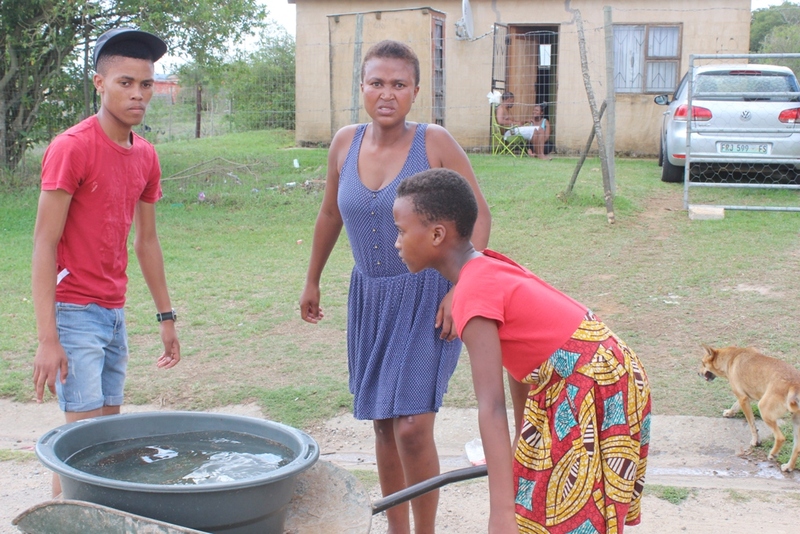 The dry taps in east Makhanda are due to excessive turbidity in the Orange/Fish supply to the James Kleynhans Water Treatment Works that services the eastern part of the city and 19 streets in the west. 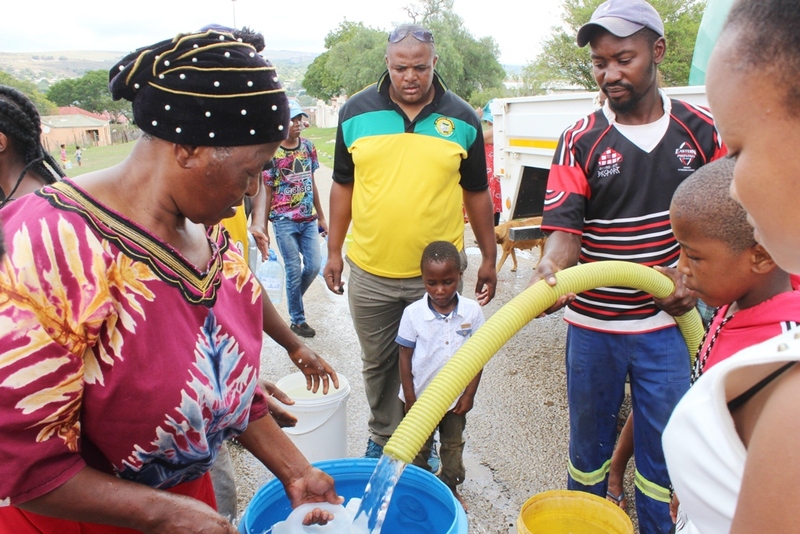 Makana Municipality issued a notice on 8 February warning that to protect the pumps at the water works, they would be switched off until the supply settles. 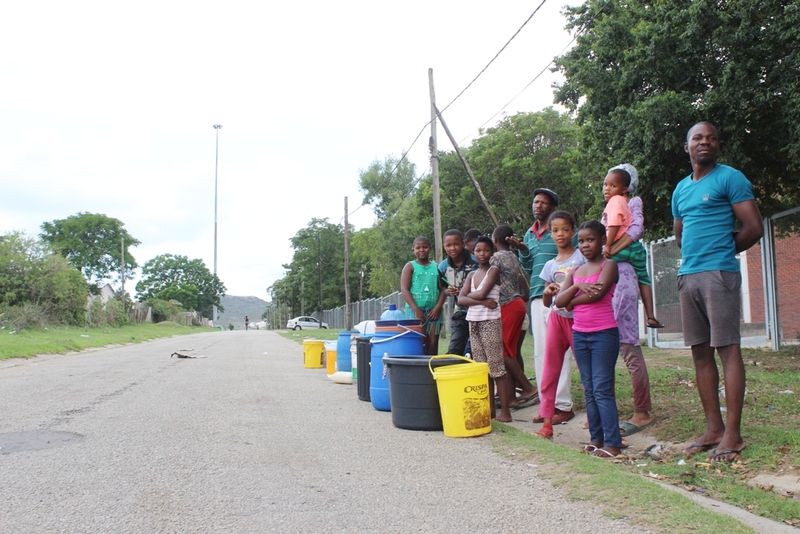 “This process will take 4 to 5 days and there will be no supply to Grahamstown East during this period. 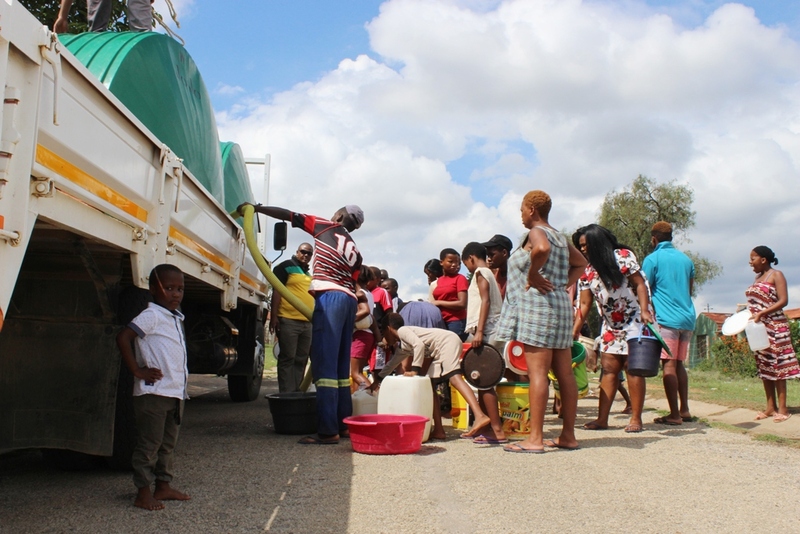 Trucks have started delivering water to distribution points and will continue until supply is restored,” Makana posted. Later that night, a message read by Mayor Mzukisi Mpahlwa apologised for the inconvenience caused by the prolonged water outage. 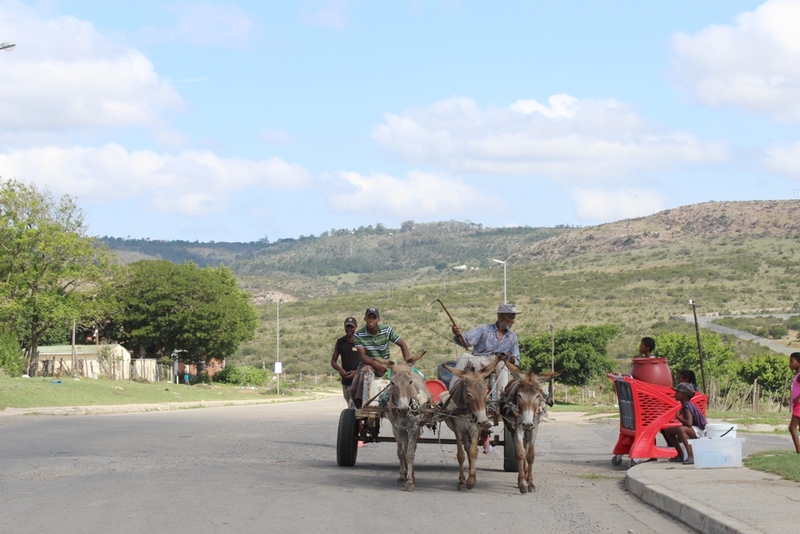 A further message raised the alarm that a day-long scheduled power cut by Eskom on Sunday 10 February meant the pumps delivering to Waainek Water Treatment Works on the west couldn’t operate. 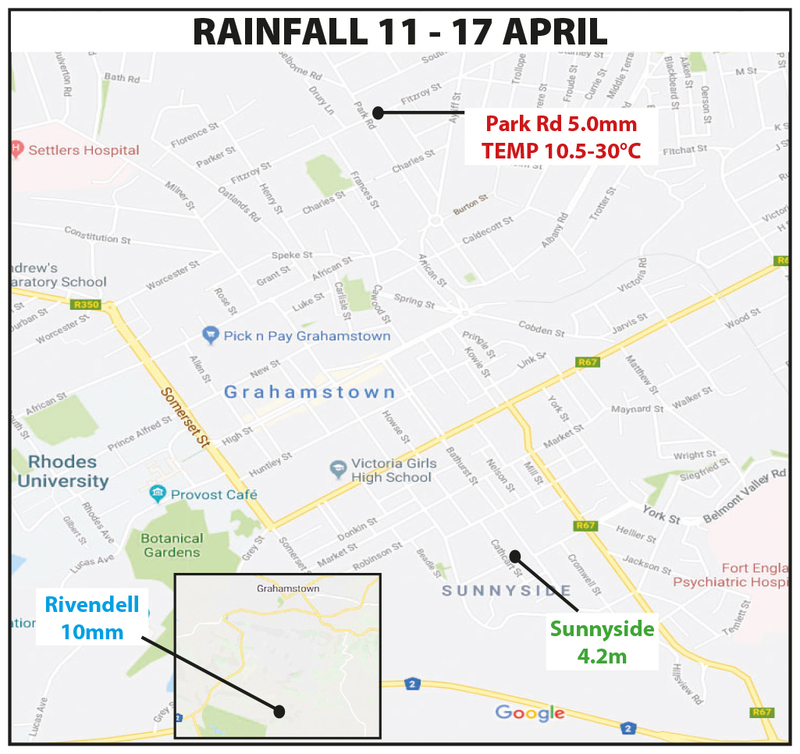 This meant the reservoir levels would drop and the supply – currently serving the whole city (the east via deliveries, the west via taps) could be interrupted. The last official estimate for Settlers Dam, the reservoir for the supply of 8 megalitres a day to areas of the city west of the railway line, was given as 13% of its capacity. Experts have warned the last 10% cannot be pumped. 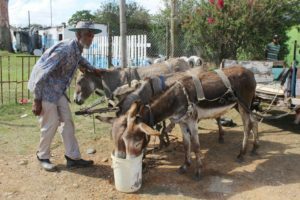 When this point is reached, the 10 megalitres a day supplied by the James Kleynhans water treatment works in the east will be rationed to serve the entire community. Earlier estimates were that this week (mid-February) could be the week when this happens. While work is under way to upgrade James Kleynhans to supply 20ML by 2021, the current outage is meanwhile potentially very serious. 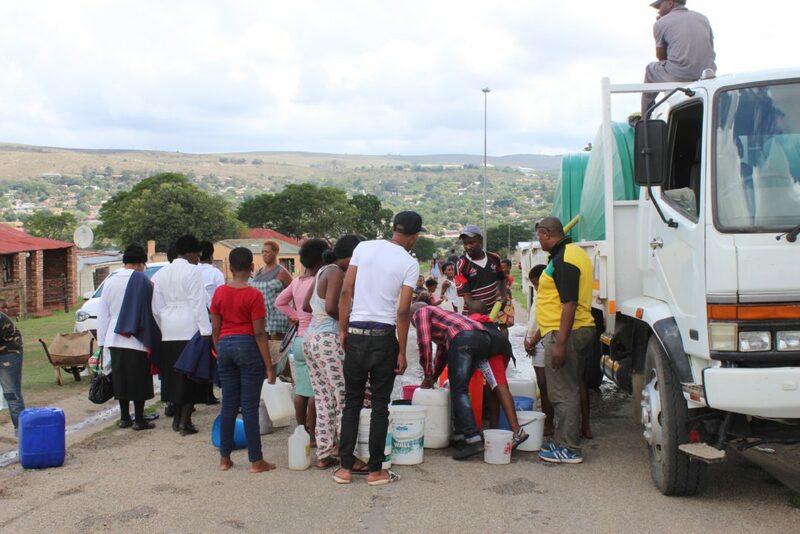 A joint operations committee (JOC) based at Makana and including business, education and other stakeholders, was formed last month to deal with a diminished and interrupted water supply and it is at their request that vehicles and drivers from neighbouring Ndlambe and Ngqushwa municipalities, as well as Rhodes University have been delivering truckloads of water to around 80 000 residents in Joza, Tantyi, Vukani and other areas in the east over the past few days. This is in addition to Makana’s water trucks and some schools. In Pick n Pay, there have been long queues of people waiting to fill bottles at the water dispenser inside the store. 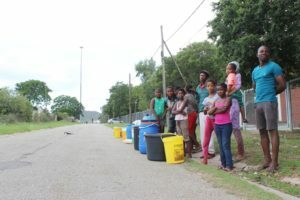 The community’s favourite natural source, Fairview spring, has been crowded day and night, with users reporting waiting as long as eight hours to fill containers. 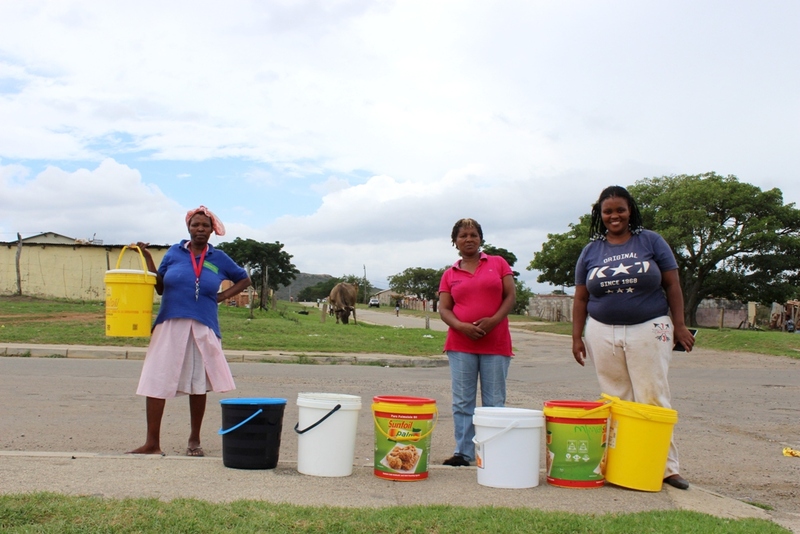 On Sunday, Grocott’s Mail found rows of buckets on sidewalks in Joza and Fingo Village, with their hot and tired owners sheltering inside or under trees as they listened out for the trucks. 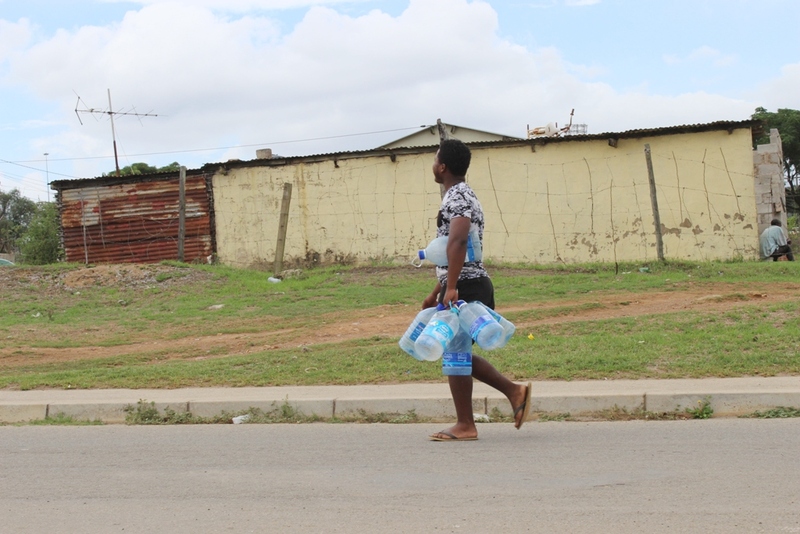 “Molweni amatapweni,” was one man’s greeting to a queue of people outside Nathaniel Nyaluza Secondary School, as he walked on to Vukani carrying bottles that he’d filled at a house in the area known as Mission. 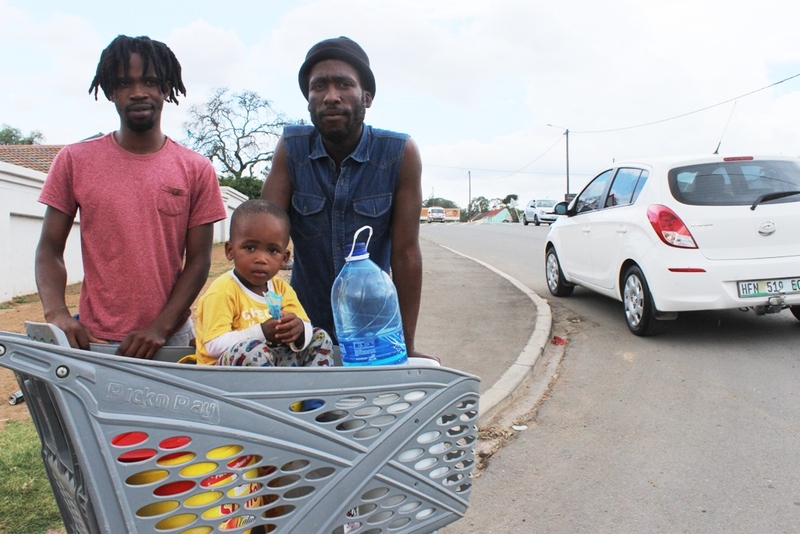 It was 1.30pm and the “amatapweni” had been waiting for three hours, B Street resident Manuel Chauke told Grocott’s Mail. 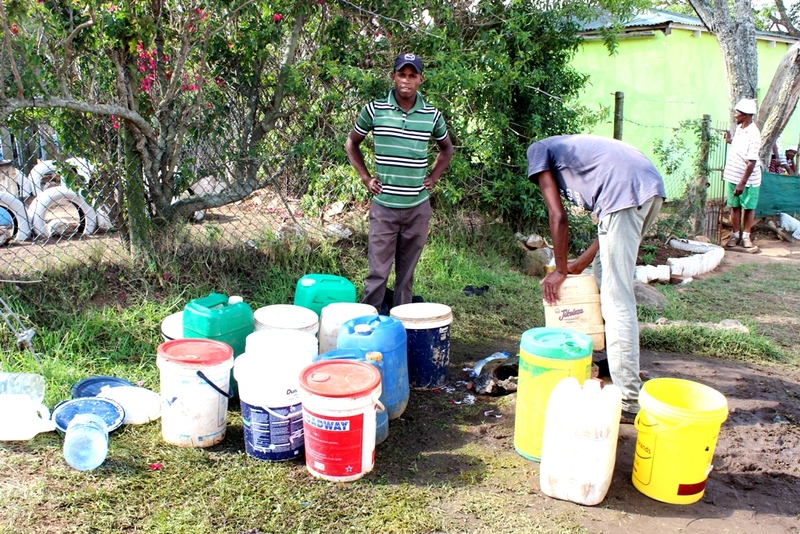 Many Vukani residents walked the long, hot road to Mission, which is just across the stream from St Philip’s Church, to fill their bottles. 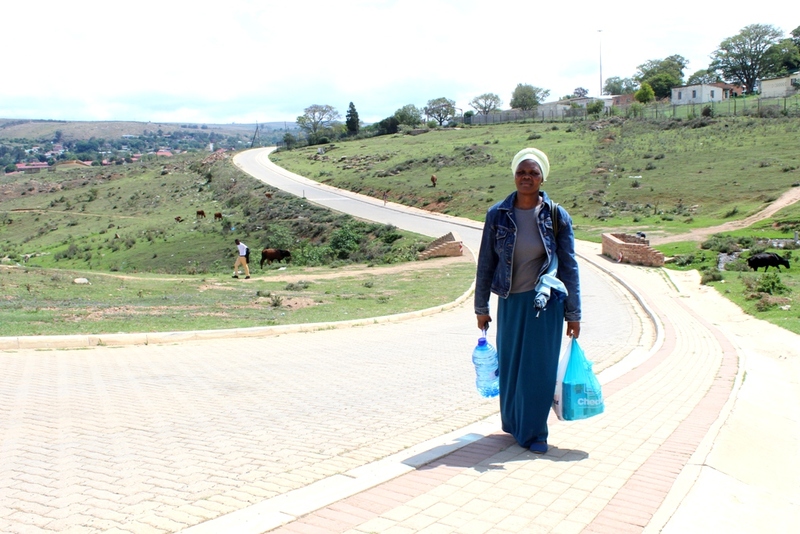 Eunice Ncwadi, who is 74, carried a full bottle all the way from town, where she’d attended church. 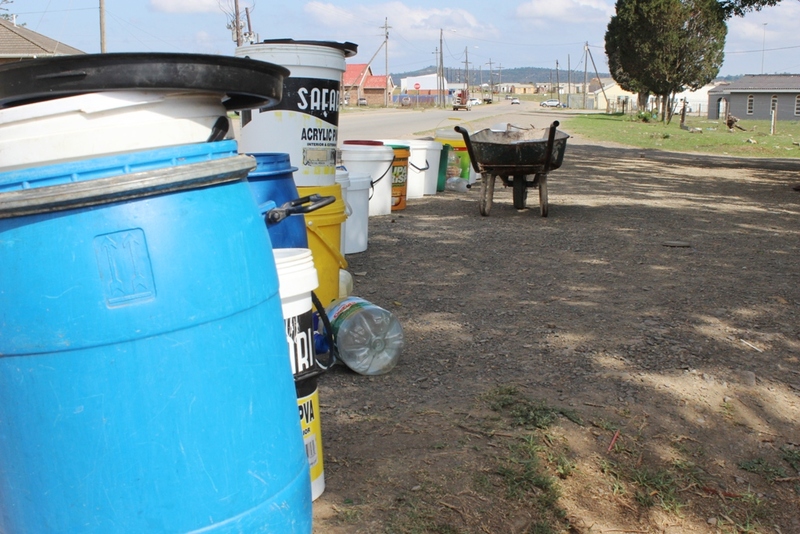 Ward 10 councillor Luyanda Sakata was present when a flatbed truck with two full water tanks arrived around 3.30pm in C Street. 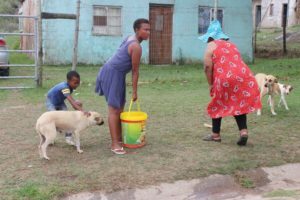 It was as Ncwadi had described: old and young rushed to the truck with every container they could find – bottles, basins, bowls and buckets. 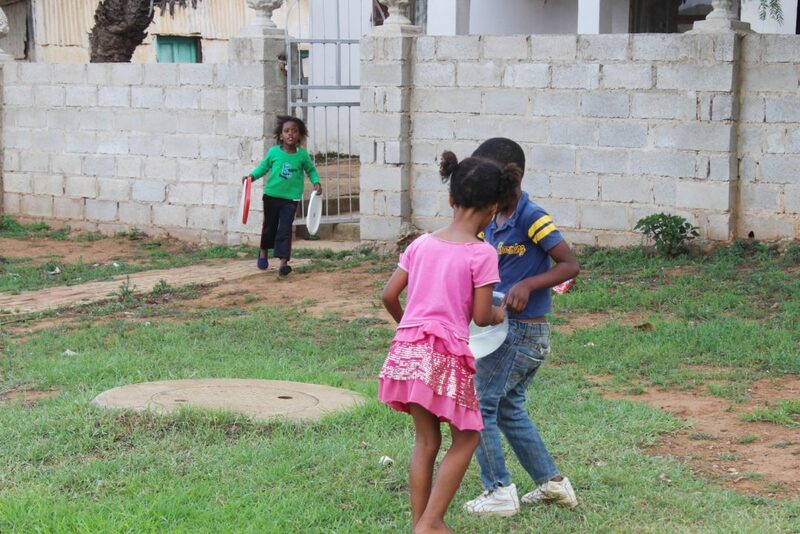 The Makabe brothers, Chumani and Chumile, live with their cousin Aphiwe Makeba in Vukani. 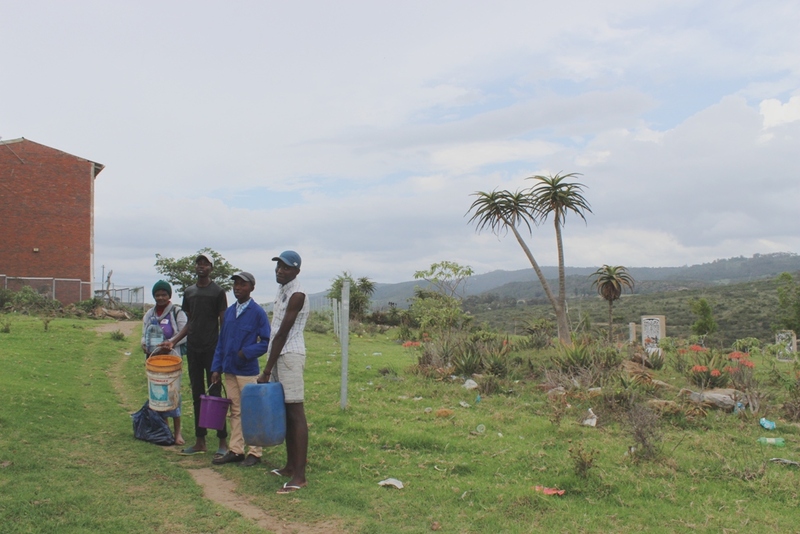 The boys were walking, carrying containers to fill from a tank at the family home in Fingo – a good 3km away. In Joza, in the shade above TM Mrwetyana School, a group of mothers with their children had been queueing since 10am, they said. It was by then around 2.30pm. 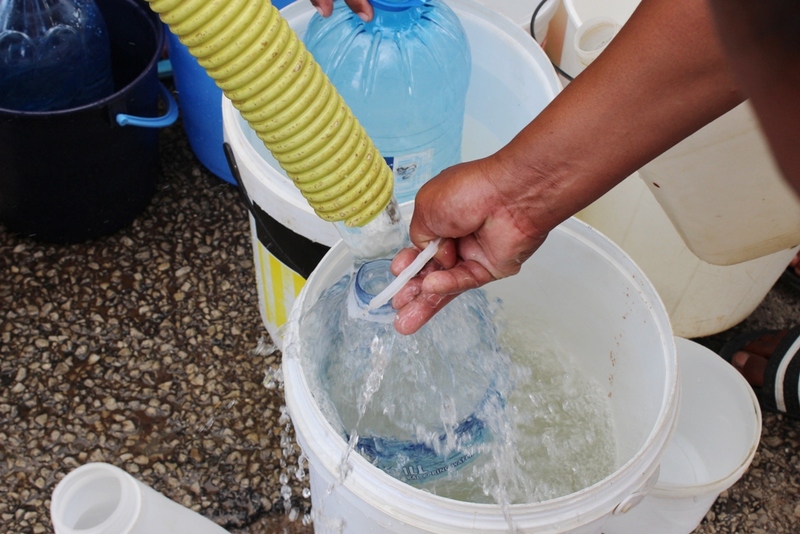 Already there have been reports of children being sent home early, as toilets clog and handwashing becomes impossible. In the extreme heat (Friday’s maximum was 37C) the risk of dehydration is high. 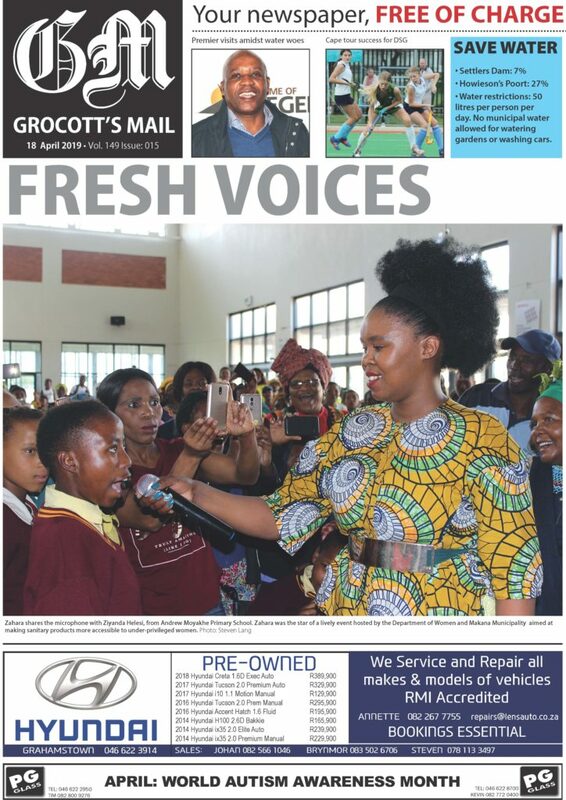 One parent told Grocott’s Mail that two children at a primary school had been admitted to hospital with seizures because of the extreme heat, and possible dehydration. Grocott’s Mail has not been able to confirm this with the school. 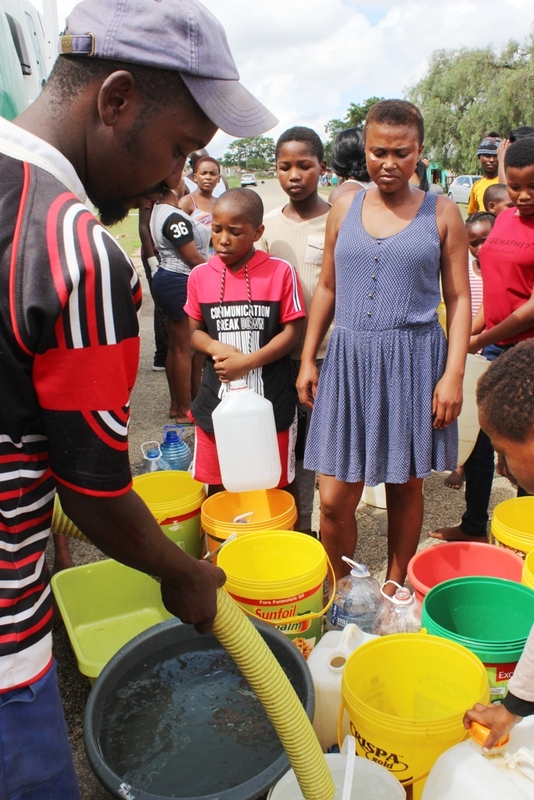 Diocesan School for Girls last week took water to Tantyi Primary. Some schools closed early on Thursday because there was no water in the toilets. 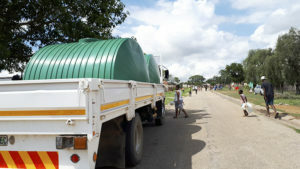 Mandiluve Ngaphi brought this flatbed truck loaded with two water tanks from Peddie. 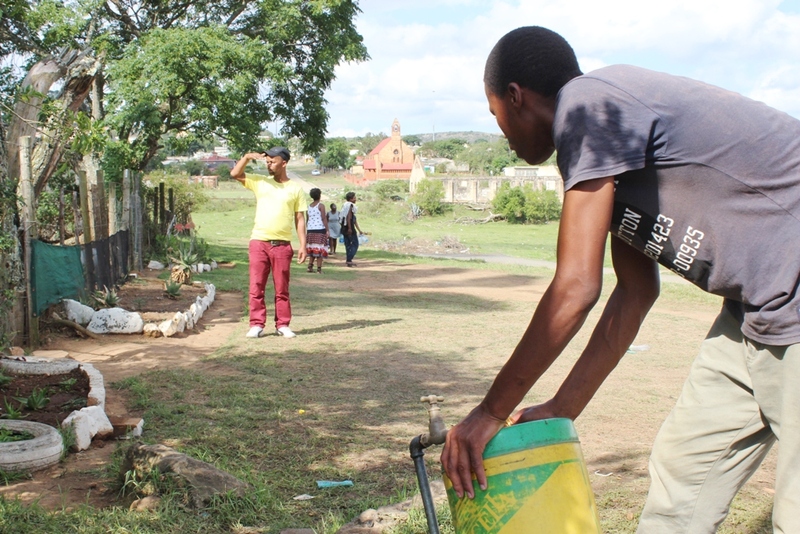 He distributed water to residents in various streets in Fingo Village when Grocott’s Mail was there. 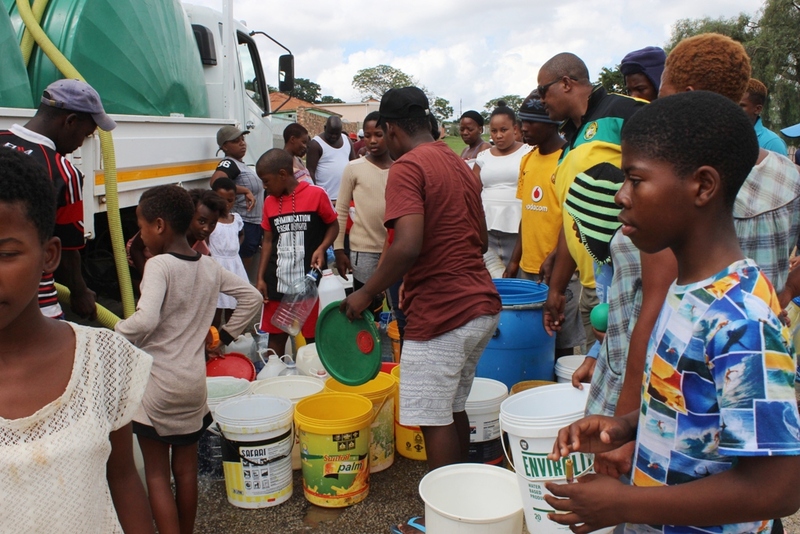 Family members take advantage of the overspill as Makana Municipality staff fill containers to distribute water. ‘So many times I’ve lost count,’ they said when asked how many trips they’d made in the past three days. Drivers of the water trucks told Grocott’s Mail they had been working flat-out to get water to the communities. 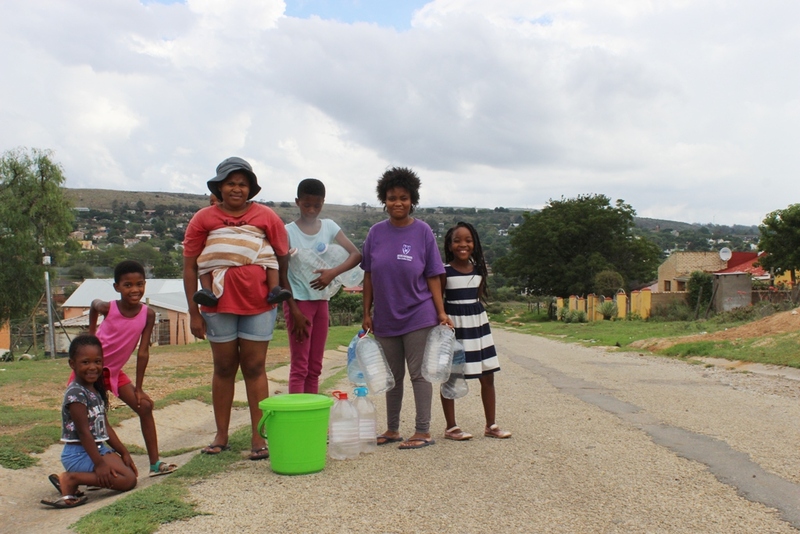 Resident Cindy Deutschmann, among a team of four who have been collecting and removing refuse during the past week under the umbrella of civic organisation Makana Revive, has been among those now delivering water to parts of town that the trucks haven’t reached. 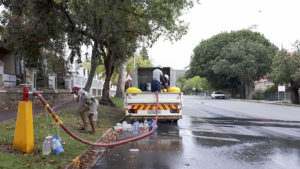 Ali Sooliman of Gift of the Givers last night confirmed to Grocott’s Mail that their trucks were currently loading water and depart today (Monday) from Cape Town, Johannesburg and Durban with hundreds of tons of bottled water. “We leave Cape Town tomorrow and will be there Tuesday,” Sooliman told Grocott’s Mail. 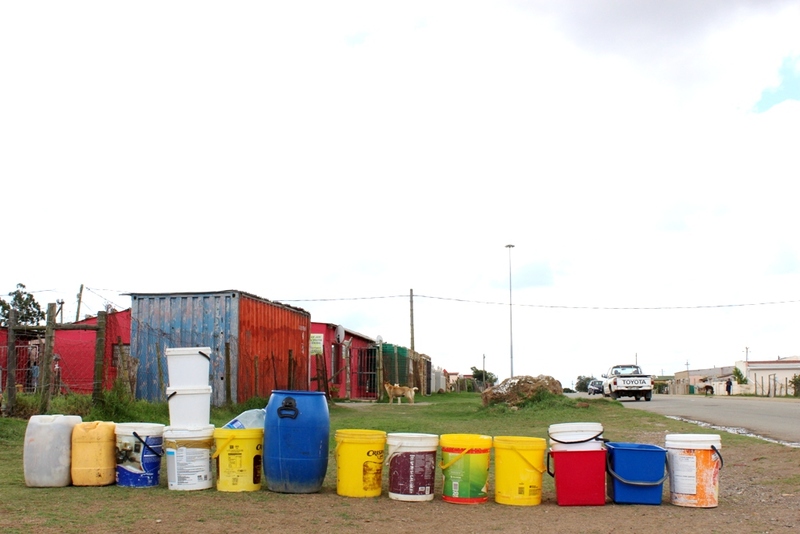 “Dr Gideon Groenewald, Gift of the Givers specialist hydrologist, geologist, palaentologist, will engage the municipality to see what sustainable alternatives could be found in the immediate to medium term as work continues to double the capacity of the James Kleynhans Water Works,” Sooliman said in a statement that was also posted on the organisation’s website. 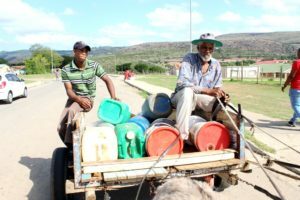 “Dr Groenewald has been responsible for successfully sighting water for Gift of the Givers enabling us to drill 200 boreholes in an eight month period providing 50 million litres of water daily. 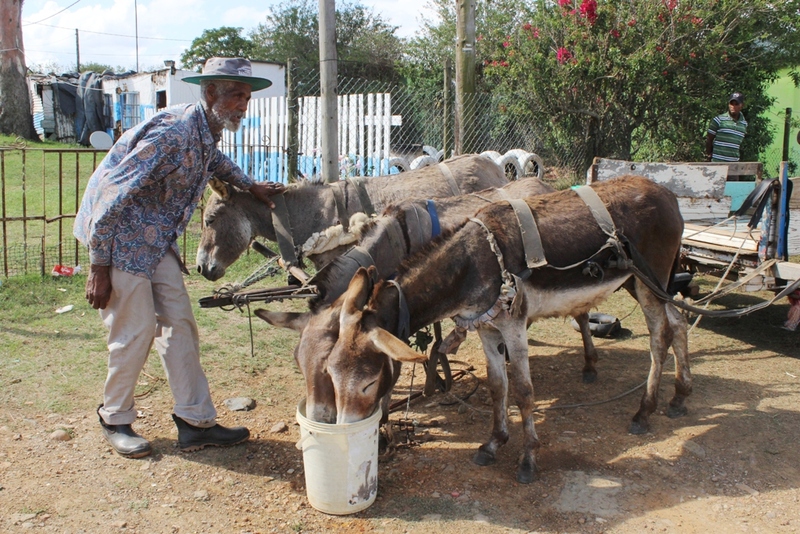 While Phumzile Salaze fills up containers for the household at Mission on Sunday 10 February, his dad, Philemon Salaze, brings water for his thirsty donkeys. Residents collecting water from a truck in C Street have to hold back thirsty dogs to stop them drinking directly from drinking from their household water containers.